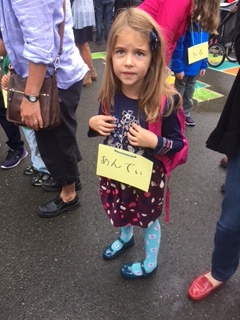 There was a bit of apprehension on the first day of the Japanese Immersion Kindergarten Project, but as evidenced by this edition of Rockstar Podcast, she is diving in. This week’s episode (as opposed to the last episode which occurred close to 15 weeks ago) covers some pretty neat and highly deep topics like: early childhood education, the Japanese language immersion project, Soccer (Fùtbol Kindergartneränø), and other amazingly interesting topics for you. Thanks for listening to our podcast and we hope you enjoy (nnnñññññññññyoy) it! !